Barbara is a filmmaker who has been working within the prison system for several years. She is making a film that is being both written and performed by long-term inmates of a prison in a Paris suburb. Barbara visits the prison twice a week, where she is conducting a series of interviews with the inmates that will form the basis of the screenplay. 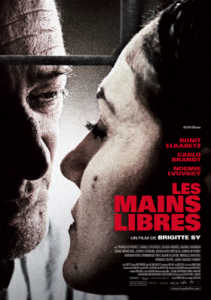 But when Barbara meets Michel, one of the prisoners, their love affair leads her to break the law.